You know how scared I am of summers and that’s why frantically look for sunscreens to protect my skin. 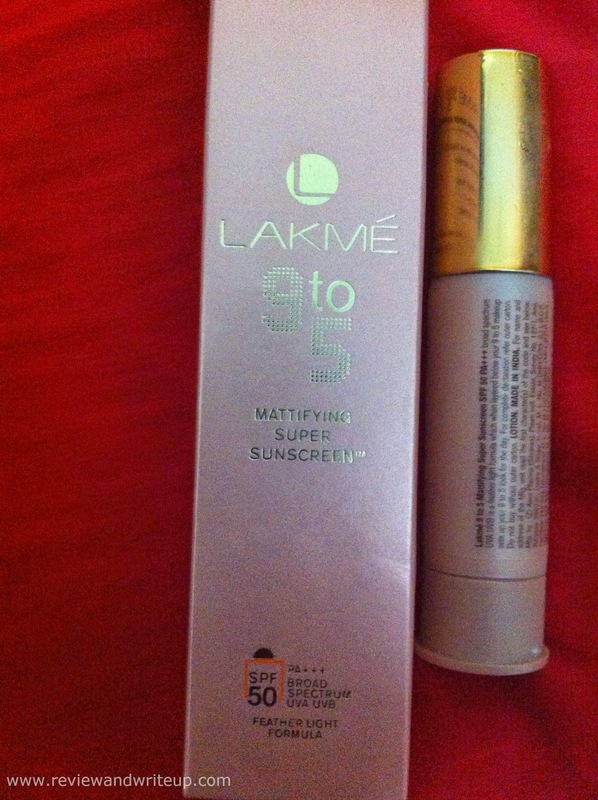 I told you that for cream with SPF I am counting on Plum light stay cream and for a higher SPF say SPF 50 PA+++ I am using Lakme 9 to 5 Mattifying Super Sunscreen. 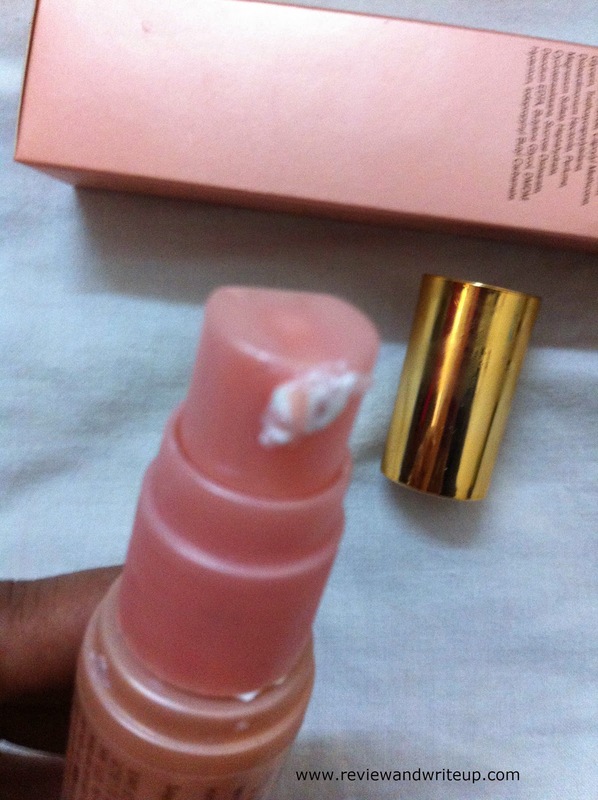 Claims of the product – Its feather light and one can simply glide it on below makeup. UVA protection helps tan and UVB protection helps prevent sun burn. With SPF 50 PA+++ keeps skin even toned. Brand claims this product to be Dermatologist Tested, Hypoallergenic, Non-Comodogenic. Packaging – It comes in peachy color cardboard box with golden color font inscribed which dictates about brand. Other three sides have information written with black font. Then its bottle is of cylindrical shape and in peachy color with a bright, shiny golden cap. You have to squeeze out sunscreen using pump. My experience – I chose mattifying because of my oily skin. 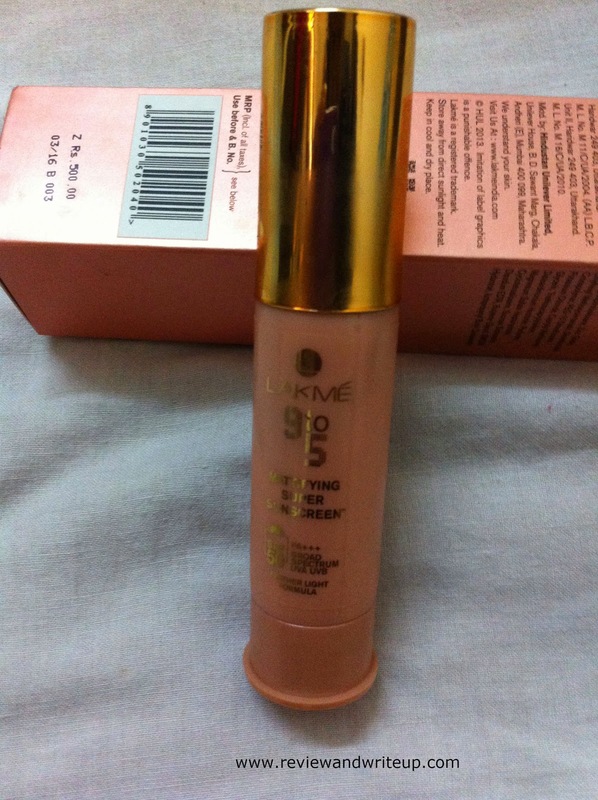 Lakme sunscreen provides me base for make up as well. Sunscreen as brand claims is really feather light and glides evenly and easily over face. Just two pumps are enough. It keeps skin protected, untanned during summers. One time I was running out of foundation so I wore it as base to party in the evening and I looked just perfect. I have to say this is one of the best sunscreens I have used in recent times. To add little nourishment I add small portion of my regular cream. I mix both and apply over my face, neck and arms. Results no tanning with regular use, skin looks visibly bright. This sunscreen due to its mattifying effect hides pigmentation, dark spots as well. The product gives me confidence to step out in sun without worrying much about my skin. What I hated is its pump. I don’t know if it’s just my bottle or for all pumps are bad. I have to struggle a lot to with its pump to get right quantity. Sometimes I end up squeezing out more than what I needed and thus leads to wastage. Bottle is light and travel friendly. R&W Recommendation – Its one of the sunscreens which provides UVA and UVB protection. You don’t need to apply any other makeup if you are using mattifying sunscreen. It saves lot of time when we are getting ready for day.